When a new project is born already as a reality, we don´t really know if it will endure, emerge, die from success or from boredom. What we know is that this project rises full of thrill, cause, and incentive, stealing hours of our days, searching for the best advisers and the best company in this journey, the best location and, of course, the best clients. We do this with effort, because we know that without all of these things, we won´t get anywhere. With tenacity, we know that these kinds of projects are for stubborn people, like us, with new ideas, with the confidence that a good relationship provides you. At the end, there is nothing else than people operating together in this work environment that you need to love: the property sector. I remember a few years ago when a senior executive from an important Bank was talking about the real estate field as the “boulder field”, I remember how much it used to bother me, that man never really understood anything, I believe that now he works with cutting-edge technology. No, no. I honestly prefer to be surrounded by people talking about bricks and stone, I have seen builders leaving a side all the glamorous and sophisticated things to come join us at the construction, the mud, I have seen promoters visualizing the land that they were buying from the outside, fantasizing about their future houses already finished, I have seen the property developers walking around the street looking and analyzing the buildings, organizing them in their mind like if it was a game, I have seen urban planners taking out their magic pencil and painting how will the future city look in a grid while walking in the countryside, and that is the whole point, every city starts in the countryside, and here no doors exits, some people just don´t understand, we see architects struggling trying to allocate impossible houses. In every single one of them I have seen the passion towards the real estate sector, a sector whose raw materials surrounds us everyday, at all times. Because whenever we buy or rent a property, we pass through a road or take a bus, now I encourage you to just take one minute and think about all the people that thought, worked, planned, and invested a lot of hours with those projects that now are a reality. That´s where Athlanta is born, in a sector that will last for ever and that only the people who really know it understand what I am talking about. They came to stay when the risk premium exceed 600 points, we were close to the edge when Europe rescue the first saving banks and invited us to create the Sared. The banks and cash, especially cash, remained knock out close to a technical bankruptcy, retained with worse NPAs that they could ever imagined and, while they tried to figurate out what had happened, they looked around with the confusion in their glance never really understanding how they got to that point. The financial system had changed forever. The gloom had inexorably been established in the real estate sector and with its’ collapse in 2007 property funds came all the way to Spain, ready to invest their money here. They came very well advised, this is Europe, Spain is a humble country, with good food, a lot of sun, surrounded by water, with awesome beaches, large facilities, sports and international singers that have succeed all over the world. Soccer teams that have actually won almost everything, it is a country with more than 500 years of history, the people are ready to live, we love the streets, we are risk takers and we are always willing to work. And to be honest, they made a good job trusting this amazing country. They brought cash flow when we needed it the most, and they have earned a lot of money, which is why they came for. But the best part is that they are enjoying their life here. To be fair we have to mention that it has been thanks to them that the real estate sector has revitalized, and has made an amazing comeback. Furthermore, they have bought almost the whole real estate debt that was in the hands of the banks. They manage it differently, with pragmatism, with a different speed, investing all the hours necessaries and even sometimes, with more imagination. But let’s also be realistic, not everything is as awesome as we are exposing here, there are some other bad things, but we will have time to talk about that another time. Anyways, there are much more positive aspects than negative. 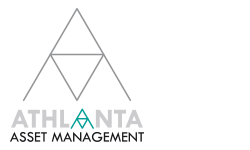 In this environment Athlanta becomes creditor of this way of working; with pragmatism, speed, intensity, creativity and experience. Madrid, the capital of Spain, country’s administrative hub, city of business, of leisure, headquarter of the principal multinationals Spanish companies and of large international businesses, state’s cultural capital, cosmopolitan city, busy, modern and at the same time parochial, in a good way, with the unique soccer spirit, gourmet and lascivious, where the people walk with their hands in their pockets like no one else in the world and at night time we sleep a little and we dance a lot, Madrid is the cozy city but excellence. Center of Castilla, old Castilian, the “center of the world”, joining point between 3 continents, where everybody wants to find a place to enjoy the little details that life gives us; a good stock, cracked eggs, a good piece of art, a tennis match or a soccer game, an opera, a kiss at the Retiro always tastes better, new year in Madrid with the midnight strokes, the fountains, a boat ride… in Madrid the crises was in a way easier to over come, the noise was moved to the streets, we learned how to enjoy life in a different way, it is the place in Spain where all the foreigners what to have their houses, were there is no loneliness, were the music is different and the voices of the singers crack in the perfect moment, city of children and folks, students and immigrants that end up becoming mates, where the migratory birds nest. A side from some politicians who don’t love it, Madrid will survive and endure. It is a safe investment. The houses’ prices rise, whenever there is a new construction the retirees agonize, if we reinstate we have to be very fast because there is a lot of people who are arriving soon with new dreams. Madrid, open city for everybody, a city with a lot of history behind, or, how Lope and Cervantes said, if not we just make it up. This is why investing in Madrid is and will always be a good option.